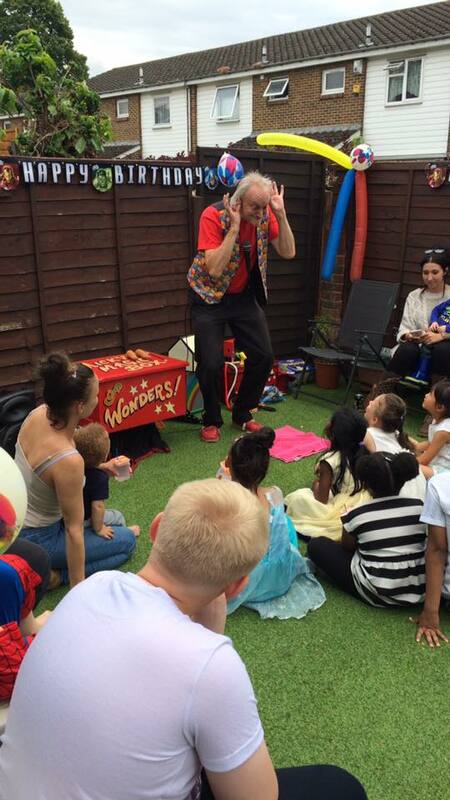 Micky’s 1 hour fully participative magic show, for 4’s and over, features quality magic, wonderful balloon models, the production of a real rabbit, a monkey puppet routine enjoyed by all ages, and fun and laughter throughout. 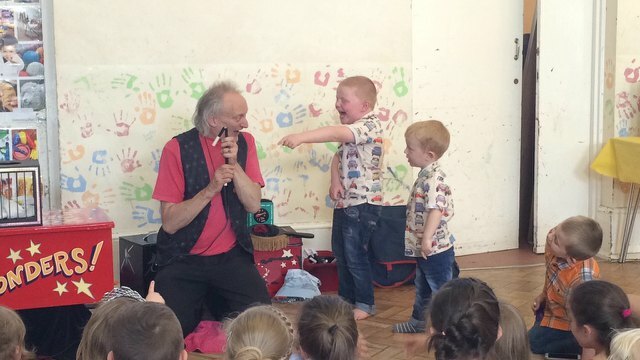 The birthday child is the star of the show, who will make a real rabbit, and receive a magic wand for doing so. They then come up a second time to take part in Mickys hilarious balloon modelling routine, where they will receive one of Micky’s special balloons to keep for ever and ever. See Micky perform, see a man happy in his work !